The Dorset Bedstead by the Bed Butler Company is made in the latest modern style. It is manufactured by highly skilled craftsmen using the latest technology to ensure that you will have the Bed you will always be proud of. The bed frame is made of solid walnut with the Headboard made with walnut veneer. The walnut used for the legs and main frame is well seasoned giving a very strong and stable bedstead. The legs have been designed with a smooth curve lending a very modern touch. 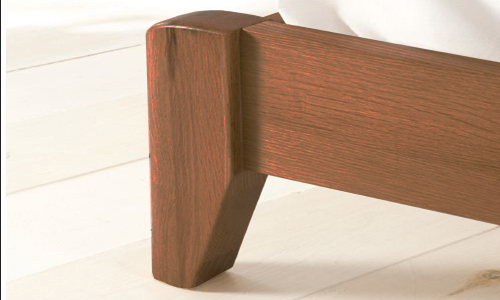 The solid foot end of the Dorset Bed is a low style, again providing a modern feel. 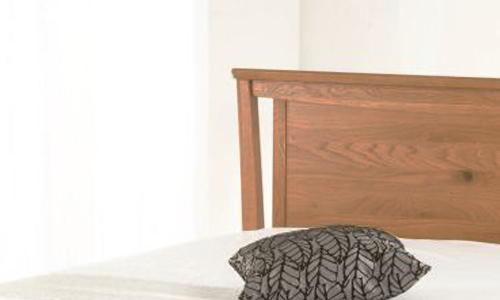 The headboard frame is made of solid walnut with a walnut veneer panel. 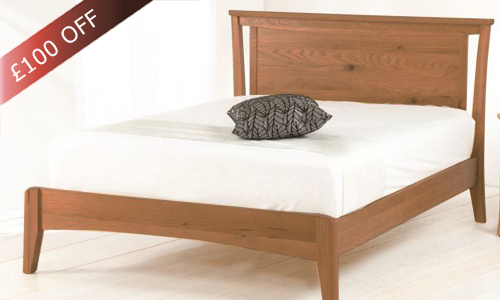 The Dorset Walnut Bedstead will fit into any bedroom as it will compliment any decors whether modern or contemporary. 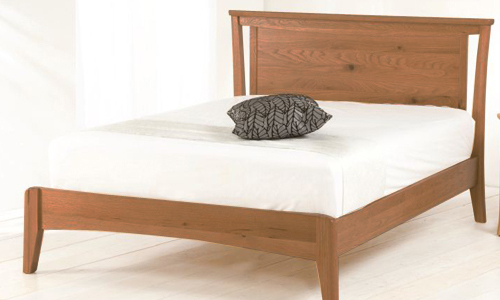 The natural wood of the Dorset Bed will also allow a wide choice of bed linen to be used, giving your bedroom that special look that you will be proud of. The base is construction with sprung Beachwood slats which gives added support and comfort. Bedside Cabinets are also available, made with the same craftsmanship, to compliment the bed.